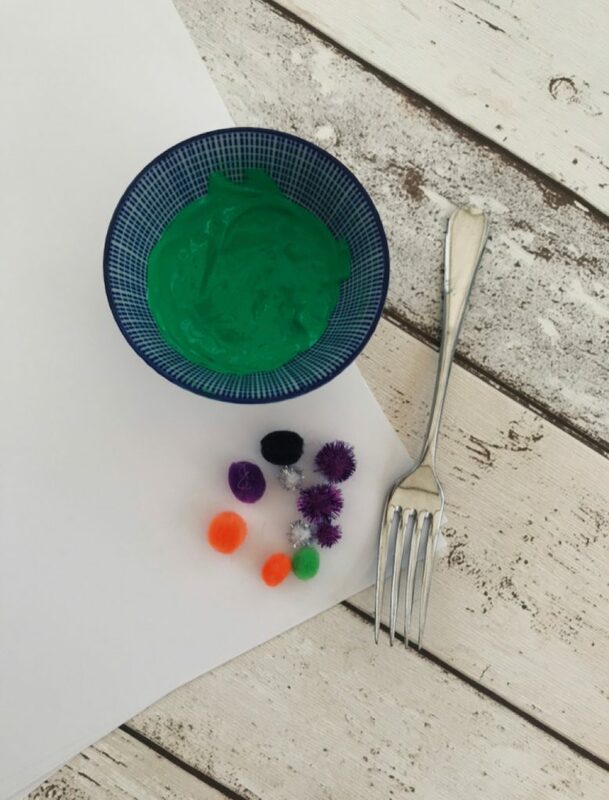 We just love these little fork painted Christmas trees – a great little process art for kids to get busy with. They’re fun to make and look fab! Dip the fork into the green paint. 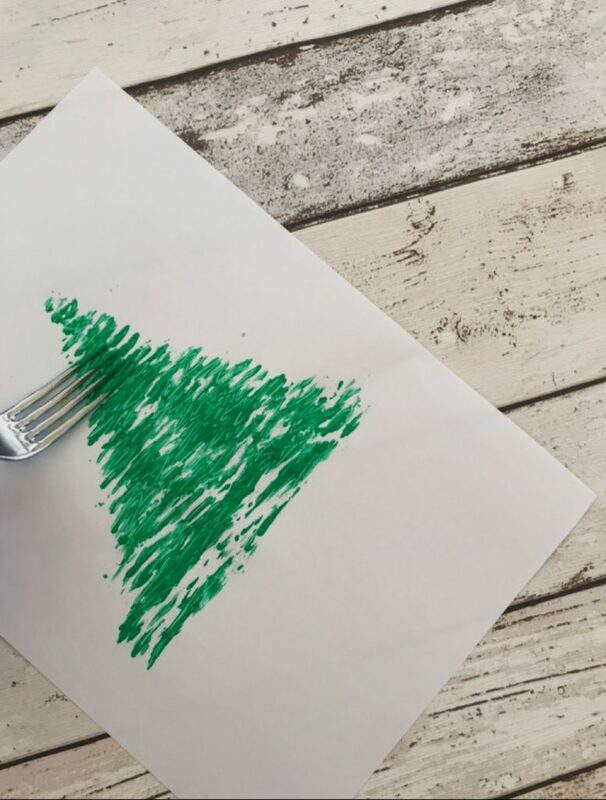 Paint and print with the fork making lines in the paint so it looks like a fir tree. Create a triangular shape that reduces in size as you move higher up the paper. 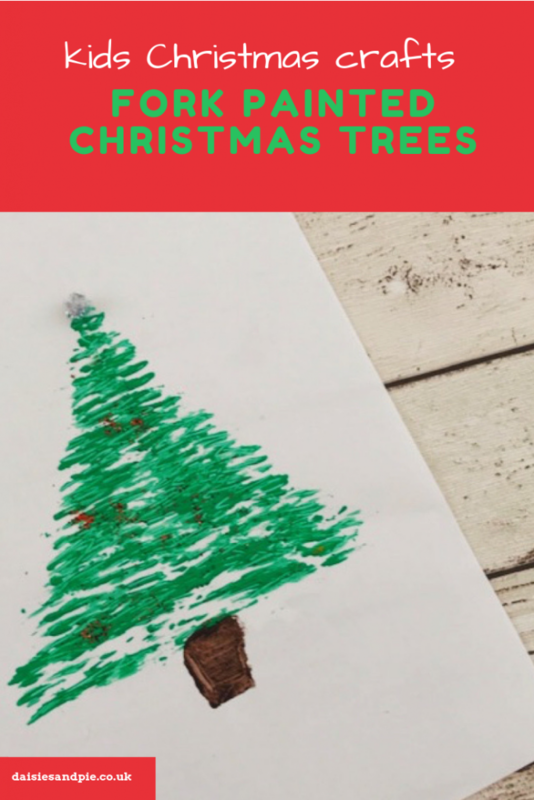 Add a little Christmas tree trunk using thumb prints and brown paint. Once you have your triangle shaped Christmas tree painting let it dry. Decorate your Christmas tree with pompoms and glitter. Make lots of Christmas trees and string them together to make festive paper bunting. Paint both sides of the tree and hang them from the ceiling to decorate. Cut out the tree and use it to decorate a special homemade Christmas card. 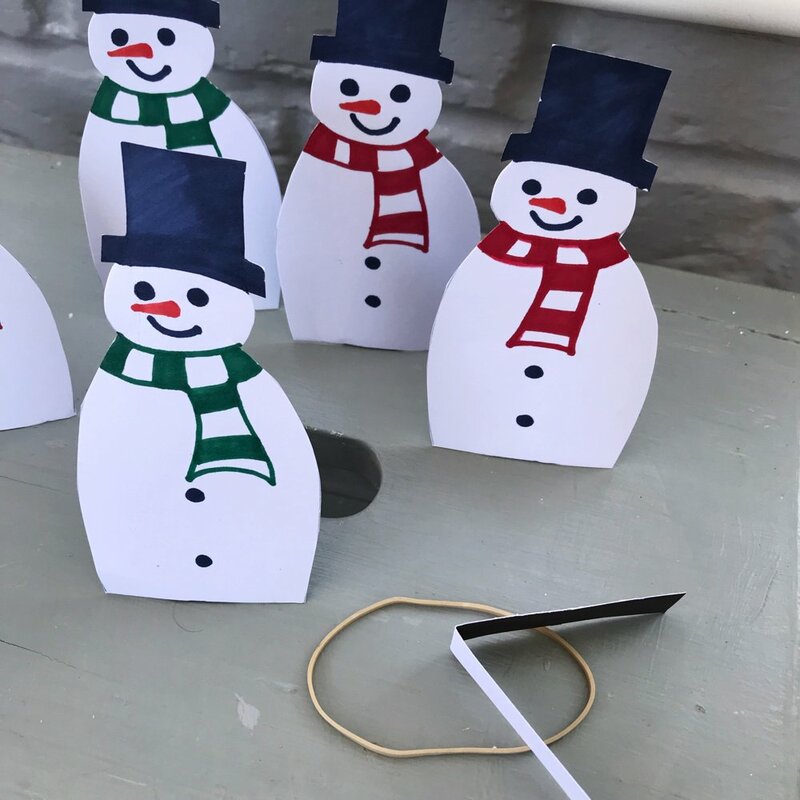 Make little Christmas trees and add a loop of string so they can be hung from the Christmas tree. PS… you might also just LOVE our Snowman Slingshot!